Apart from Heidi, mountains, chocolate, watches and cheese, if there is one characteristic to highlight about Switzerland, it would be its public transportation system. Being the most dense system in the world, the slogan of the Swiss Railway during the 1950's was on the spot: "Who's clever, travels by train." And this magical nature of trains is precisely why I would like to showcase some memorable train lines in Switzerland. If you have never heard about the concept of "touristic trains", let me explain how it works: it is like a cruise on rails with a level of luxury that appears more superb than those fancy swimming pools on the decks of big ships. The idea of touristic trains is to keep the historical and traditional touch of a train composition, and enhance it with a memorable experience. 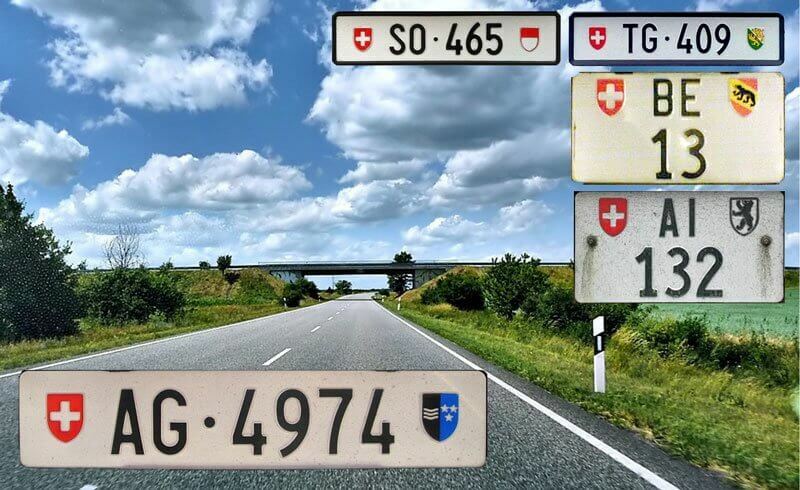 As you will see, some train lines in Switzerland are specialized for cheese or chocolate, while others cross the panoramic beauty of the Swiss landscape. Beautiful scenery and tasty, world-famous chocolate make for an unforgettable experience as you travel on the Swiss Chocolate Train. Your train journey begins in Montreux on the Swiss Riviera, then takes you to Gruyères, home to the renowned Gruyères cheese. Hands down one of my favorite lines is the scenic Bernina Express in eastern Switzerland. 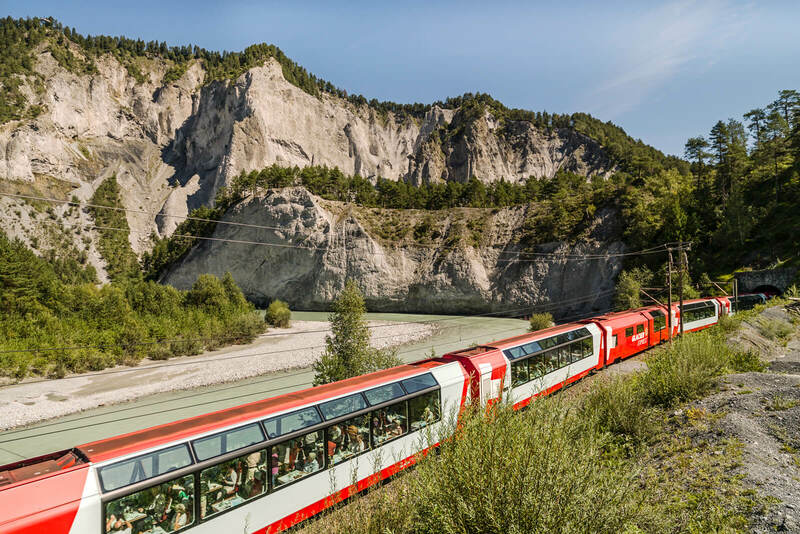 This journey invites you to relax as you glide through the countryside, enjoying sweeping vistas of Alpine crossings, dramatic gorges, timeless bridges, and no less than 55 winding tunnels. A particularly beautiful stretch of this UNESCO World Heritage route is the section between Pontresina and Poschiavo where the train passes Lago Bianco. Make sure to sit on the right hand side to see not only the glittering lake but also the towering Morteratsch Glacier. Among this landscape of glaciers, meadows and rock fields, why not make a stop at Ospizio Bernina before descending to the old town of Poschiavo? With the station at 2253 meters above sea, the Bernina Express is officially considered the highest railway line in Europe. It connects northern and southern Europe, providing a bridge between various language regions and cultures. Your final destination will be Tirano, Italy, from where you may return by train. Alternatively during summer, hop on the Palm Express bus service taking you all the way to Lugano in Switzerland's south. 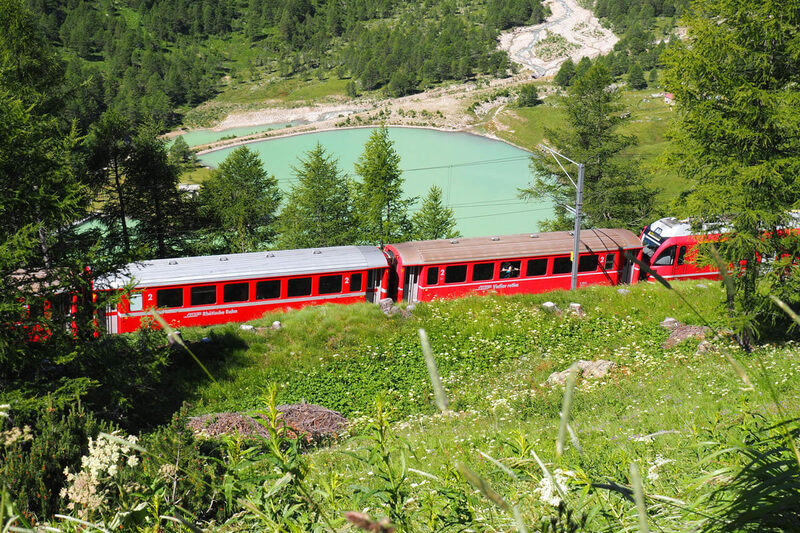 Why not consult our ultimate guide to the Bernina Express? Meet the most famous train of the Swiss Alps, the Glacier Express! It is often referred to as the slowest express train in the world. In 7.5 hours from Zermatt to St. Moritz (or vice versa), you will be gliding through untouched Alpine countrysides, over roaring mountain streams, and past towering walls of rock. One of the ultimate highlights surely is the crossing of the Landwasser Viaduct. But along the way, the Glacier Express will cross no less than 291 bridges, pass through 91 tunnels and surmount the Operalp Pass near Andermatt. (The train line reaches a staggering altitude of more than 2000 meters above sea.) Another highlight is the Rhine River Gorge, essentially a Grand Canyon of Switzerland. This panoramic train line with its tall windows really is a journey to remember, with exciting towns waiting at both ends. One of these is the elegant resort town of St. Moritz, with its attractive air of exclusivity. Another is Zermatt, home of the world's most photographed mountain, the Matterhorn. Now, it is time for you to make up your mind... Which of these train lines in Switzerland are you going to try out?